C. Frederick Wehba is a recognizable name in commercial real estate. Wehba has accumulated over four decades of achievements in California, Texas, New York and Illinois and several other states across the nation. Through his intelligent analysis of current trends and techniques, C. Frederick Wehba offers invaluable guidance and knowledge that assists his clients in reaching their full potential. C. Frederick Wehba has been recognized as one of the most prominent humanitarians, charitable organizers and philanthropists in the southern California area. C. Frederick Wehba has supported more than 30 groups and organizations during the course of his real estate career. Despite this expansive list of professional achievements, family is the most important thing in the life of C. Frederick Wehba. He and his wife, Susan D. Wehba, have four beautiful children. C. Frederick Wehba continues to teach his children about charitable generosity as guided by his strong Christian faith. 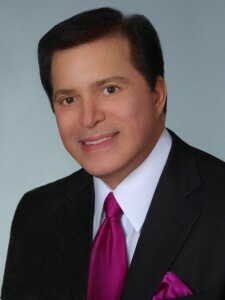 Through his influential leadership in the real estate industry, C. Frederick Wehba has been granted the unique ability to inspire new generations of Americans in their quest to achieve success in a variety of professional ventures. Presented with the “Spirit of Philanthropy” honor by CBU (California Baptist University) in 2004, C. Frederick Wehba and his wife used the award to draw attention towards the ample opportunities for philanthropy and charitable giving in their local community. The couple also earned the “Humanitarian Award” as designated by the MDA (Muscular Dystrophy Association) in 2003. C. Frederick Wehba (a former Eagle Scout) has been privileged to serve on the distinguished Board of Directors for one of his favorite childhood organizations, the Boy Scouts of America. Mayor Tom Bradley of Los Angeles honored C. Frederick Wehba as the city’s “Man of the Year” in 1990. C. Frederick Wehba has carefully constructed a respected, successful career by staying true to his small-town values. As a young child in rural Texas, he watched as his father owned and operated a series of grocery stores in the region. By learning the ins and outs of customer service, C. Frederick Wehba laid a sturdy foundation for his future work in real estate. A musically gifted teenager with tremendous dedication and purpose, C. Frederick Wehba earned a Bachelor of Arts degree (Vocal Performance) from University of North Texas in 1989. In 1993, C. Frederick Wehba opened a commercial real estate company that has now amassed over two decades of success and growth throughout the United States. By connecting with top leaders in his field, C. Frederick Wehba retains greater access to information that can improve the prospects of his clients seeking a real estate transaction. As a member of Who’s Who’s of American Business Leaders, C. Frederick Wehba has gained acclaim for his shrewd tactics coupled with integrity and seemingly boundless enthusiasm. This powerful status is indicative of a positive mindset that views challenges as opportunities for transformation and renewal. C. Frederick Wehba brings his sense of optimism to each professional conversation for the benefit of his clients. C. Frederick Wehba holds experience in a variety of aspects related to the field of real estate, including executive leadership, portfolio management, property management, disposition, real estate development, brokerage, corporate real estate, asset management, business strategy, real estate economics, due diligence, mergers & acquisitions and commercial real estate. C. Frederick Wehba has also devoted time and energy into mastering critical real estate activities including investment properties, program management, real estate financing, commercial mortgages, financial structuring, leases, lease administration, financial analysis, valuation, land acquisition, location intelligence, joint ventures, private equity. With a measured perspective regarding international real estate matters, C. Frederick Wehba holds the United States as the greatest country in the world for people to live, love and learn.